Today we would like to share some great news with you. Oxwall Foundation has reached several important milestones, which prove that we are moving in the right direction, steadily giving the community tools necessary for our common success. First of all, Oxwall Software now boasts over 71000 source lines of code. Compare that with 64000 of the very first Oxwall iteration released in August 2010. Not bad, considering that this metric is a very important indicator of a project’s size, and shows the effort the development team puts behind it. Now, that was the platform itself. Even more impressive is the rapid increase in the number of source lines of code for plugins developed by the Oxwall Foundation. Altogether they now take over 64000 LOC (30% growth from the times of Oxwall 1.0.1), which is really impressive, when you take into account the time-frame and the relatively small team size. All of that, coupled with the success of the recently released Oxwall 1.3 helped to boost the platform downloads from the 250 per day average in 2011, all the way up to 350 at the start of 2012. Finally, Oxwall Store also witnesses some stable evolution since its full-scale launch a mere year ago. By now, the gradually growing number of published items have passed 100, adding even more to the progress of the entire project. With our joint efforts and great input from the international Oxwall community, these achievements have been reached in just under two years. This is the programming productivity and expansion rates we are quite content with, although we’ll be obviously looking to build on this success even further in the near future. An unfortunate slip made its way into the above text. Of course we meant the DAILY download average (not monthly) in the fourth paragraph. 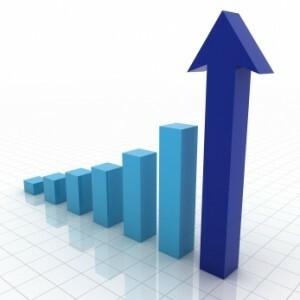 So, the daily platform download average in 2011 was 250, boosted up to 350 since the release of Oxwall 1.3. This entry was posted in Development, Misc, Plugins, Store and tagged Oxwall Foundation, Oxwall Store, plugins by Zima. Bookmark the permalink. Thank you very much. It’s a lovely job. Upon speaking about Progress we have to add an imprtant thing. Oxwall is a very interesting software to a great number of Arabic Webmasters . We are in alljordan.net team had finished translating Oxwall V. 1.3.1 to Arabic Language . But the big problem is the Right to Left Direction in the Theme. Adjusting and modifying the theme css is not the only step to get the suitable result. My Testings gave me a conclusion that many other files need to be edited or modified starting from the install.sql file . The (RTL), (rtl), (leftCssClass), (rightCssClass) inputs in the install.sql file must be Compatible with the same inputs in other (ow_system_plugins) folder’s files . So, it is Oxwall Team responsibility now to help resolving this problem . Some instructions more than we read about is needed. thanks to Oxwall or Oxwall team Grate job..
What a lovely job it is!? Thank you for sharing such a great job! Go ahead! Love you guys!!! Perfect script but where’s the instant updates? It can’t even begin to compete with ANY other script without that even though it’s feature wise is near top of the line with a few plug-in’s added? Emergency release? Please? Do you mean the instant updates about friend requests, messages, etc.? If so, we are already working on the implementation of such a feature. It will be released as part of one of our future updates. I was in doubt to choose Oxwall or that freshy looking Livestreet. I finally chosed Oxwall and that was a marvelous choioce. Choosing Oxwall is the best choice with the perfect script and good updates why choose others. yes it is the best script i ever seen,only one word i,m very grateful.Take a look around why i,m very grateful.